I wanted to set this up because without really planning it, this series has gone from three books to four, with eight short stories. My mom (thanks, Mom!) said she needed a visual to keep track of them all. So here it is. There are four novels. Those are listed in white. 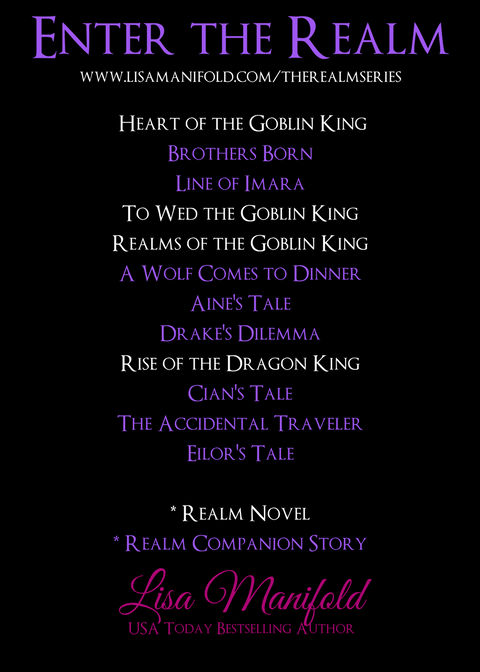 The Realm Companion Stories are listed in purple. 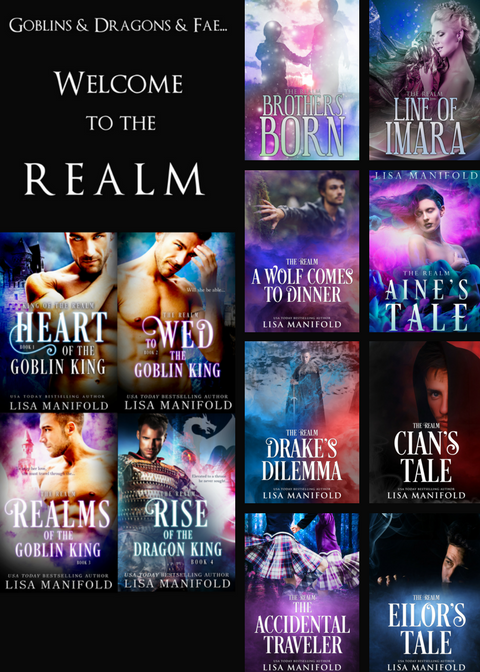 You don’t have to read them at all – but I find they give a richer picture of all the characters in The Realm. All the Companion Tales will be done by August. They are available on Amazon in ebook short stories. They are also available in a bundle volume – The Companion Tales: Volume One and The Companion Tales: Volume Two. Volume One is available now in ebook and print. Volume Two will come out after Eilor’s Tale, in August. Below, find the covers, and the reading order. As a reader, I HATE not knowing how the author wants me to read their work, so I am doing this solely based on my own preferences. Disregard if you are not crazy about this sort of thing like I am.